The financial aid mechanism for Greece agreed by euro zone leaders on March 25 is workable but unlikely ever to be activated, European Central Bank President Jean-Claude Trichet said. 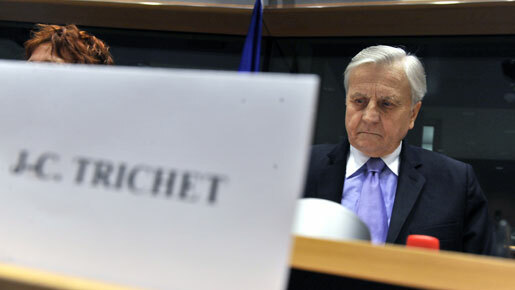 “I am extraordinarily happy that the government of the euro area found a workable solution,” Trichet told an unscheduled news conference after a euro zone leaders’ meeting. “I consider that workable solution preserves, what for us is decisive, the responsibilities of the governments of the euro area,” he said, after journalists urged him on the podium following a briefing by EU President Herman Van Rompuy and European Commission President Jose Manuel Barroso. Trichet said the credibility of Greece was improving and he assumed the mechanism agreed by the leaders, which is a mix of IMF money and bilateral loans from the euro zone, would not be needed. “I am confident that the mechanism decided today will normally not need to be activated and that Greece will progressively regain the confidence of the market,” he said. He said the involvement of the IMF in the aid mechanism did not infringe on the independence of the ECB and left euro zone government responsibilities unchanged. “The independence of the central bank is sacrosanct and nobody is putting that into question for one second,” said Trichet, who had earlier opposed IMF involvement in aid for Greece. “We have very good respect for the expertise of the IMF, we worked with the IMF in Athens,” he said. “I never said that IMF intervention was this or that. I have always said we must have maximum responsibility from the governments of the euro area,” he said. Euro zone leaders agreed that the aid mechanism could only be activated as a last resort, if market financing proved insufficient, and that the disbursement of loans would hinge on an assessment by the European Commission and the ECB. “You look at the situation and you make a judgment on the financial instability that would be stemming from this for the country and for the euro area – that is the criteria, but again it is not our working assumption that this will have to function,” he said. Trichet welcomed a call by euro zone leaders to strengthen European Union budget rules so that a Greek debt crisis could not happen again. “I am pleased to see that heads of state and government have agreed that we need to step up our vigilance and that we need to reinforce our capacity to monitor (fiscal policies),” he said.